Today is Constitution Day, time to really think about the U.S. Constitution. On May 25, 1787, with a quorum of seven states present, our Founding Fathers began meeting in Philadelphia, Pennsylvania, to craft a document to govern the new nation, as the Articles of Confederation (in effect beginning in 1781) were wholly inadequate to the task. Eventually, there were 12 states attending and, after many debates, arguments and compromises, on September 17, the U.S. Constitution was signed and the process was declared: "Done in Convention, by the unanimous consent of the States present." As noted by many historians, the three powerful words at the start, "We the People," affirms that our government exists to serve it citizens, something which has gone totally out of control. 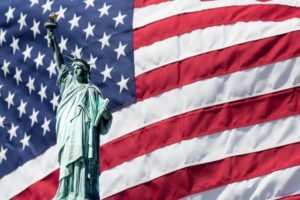 So, what should the U.S. Constitution mean to all Americans? As it guarantees our freedom, our liberty, our rights, every American should be concerned with how we have allowed our government to grow exponentially and our public servants to act more like rulers or masters (with virtually unlimited freedom to waste taxpayer money), avoid penalties "We the People" would gravely suffer for transgressions and spending more time, it seems, trying to get re-elected than doing their jobs. The U.S. Constitution is a document like no other. It is not a living breathing one that needs "interpretation." It says what it says and means what it says. For instance, the 1963 Supreme Court decision banning prayer in schools was unconstitutional. Period. 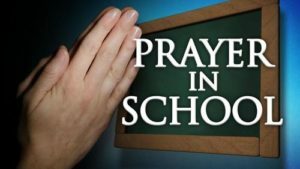 The Constitution says, "Congress shall make no law respecting an establishment of religion..." Allowing prayer in school does NOT violate the Constitution. Prayer is simply something that occurs between the student and God. It has nothing to do with government and does not "establish a religion." We should also be wary of hate speech being allowed to be protected under free speech (i.e., think Kathy Griffin decapitating our President), as well as basically allowing protest riots, when peaceful assembly is what is protected (i.e., unruly mobs "protesting" the 2016 election results). Examples are ad nauseam. Another example is a citizen's unalienable right to bear arms which "shall not be infringed," yet there are cities and states that have breached this Constitutionally guaranteed right. When there is a tragic mass shooting, those who wish to disarm law-abiding people attempt to take their guns or limit them, instead of addressing the real problem. Think about it...when there is an auto accident with a drunk driver, cars are not blamed, people are. When someone is stabbed, a knife is not to blame, the person welding the knife is charged. And, as ridiculous as it sounds, when a person steals something the object being stolen is never at fault...it is the person. Invasion of privacy has become the order of the day. Due process can be thwarted. Citizens of America, the U.S. Constitution should mean everything to you. Our Founding Fathers worried about how future generations would safeguard their freedom. 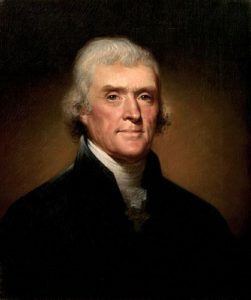 Consider what Thomas Jefferson so wisely said, "Experience hath shewn, that even under the best forms, those entrusted with power have, in time, and by slow operations, perverted it into tyranny; and it is believed that the most effectual means of preventing this would be, to illuminate, as far as practicable, the minds of the people at large." Do not be swayed by smooth-talking politicians who promise everything because all they will enact are more and more programs (supposedly for our benefit) requiring more and more taxpayer money to fund or adding to an already massive $20,000,000,000,000 (Trillion) debt. That is NOT the job of our Federal government, the duties of which are limited BY the Constitution and have been violated more times than anyone can count. The only body that has the power to make laws at the national level is Congress, yet virtually every agency created by our elected representatives also have the power to enact and enforce laws, whether they are called laws or regulations or something different. 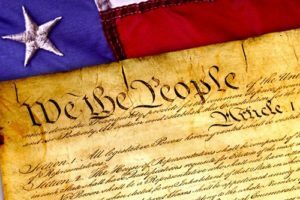 The U.S. Constitution was the first of its kind and is unlike any other. No other country on the planet enjoys the freedom that we have, but we must protect that freedom! If we do not, we will have Anarchy, or, perhaps, allow our great country to slide into Socialism where the only thing the "people" share is misery. We must stand up to politicians, idiotic celebrities, and others who do or say anything they can to bypass, subvert or destroy our freedom and, most of all, our sacred document. For my money, elected politicians or appointed state or federal judges who violate the Constitution should simply be immediately expelled with no pay and no benefits as they have violated their oath of office. The United States Constitution is the Supreme Law of the Land and it must be followed, or our freedom is lost. Learning what it is all about is the key. 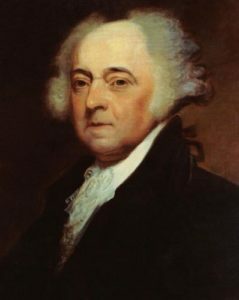 As John Adams proclaimed, "Liberty cannot be preserved without general knowledge among the people." There are many paths to educate yourself and your family. Learn the basics by watching the award-winning In Search of Liberty Constitution movie, and then, for in-depth study, enroll in a Constitution Boot Camp from Building Blocks for Liberty or join KrisAnne Hall's Liberty First University.